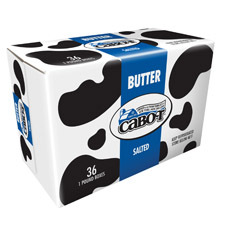 Cabot Butter conforms to the definition and standards of identity for butter under Federal Food and Drug Regulations 7CFR, 58.345 and its amendments. 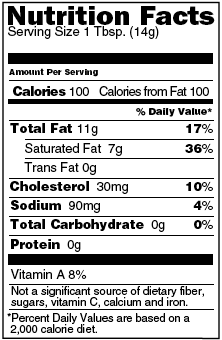 The butter will comply with USDA grade of US Grade AA. Packaging will be done in clean food grade butter parchment and then packed into a food grade carton. Product will be stored and shipped at 40°F. The maximum shipping and storage temperatures shall not exceed 45°F.